It’s Spring and it also happens to be National Craft Month! 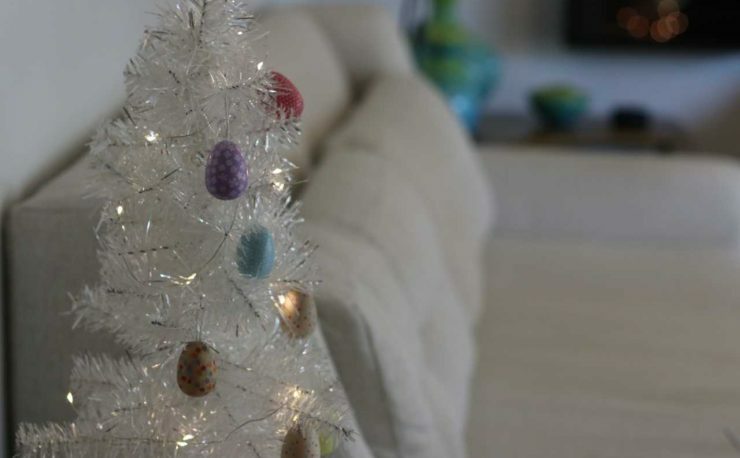 We think it’s a great time to brighten up your home just in time for the Easter Holiday. 1. Find a standard, inexpensive glass container and turn it into a centerpiece with a set of battery lights, moss to cover the battery box and filler items. The robins-egg style eggs were found at the dollar store. 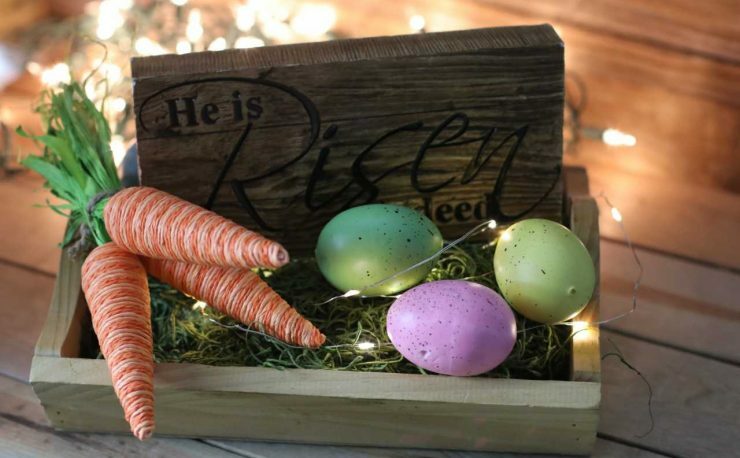 Switch the elegant with classic plastic Easter eggs for a whimsical look. 2. 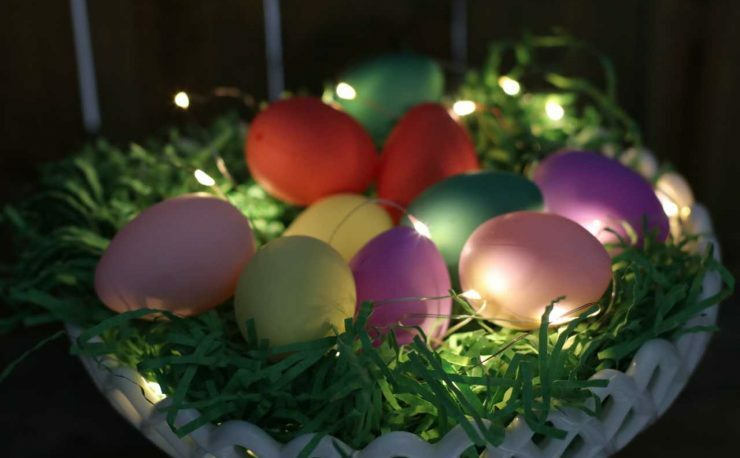 Combine battery lights or craft lights with sophisticated eggs with a metallic finish to a beautiful milk glass dish to create an Easter centerpiece. Find the dish at your nearest tag sale or antique mall and the eggs at the dollar or hobby store. 3. Let the moss and battery fairy lights stand on their own for a firefly look or add a branch of orchids courtesy of IKEA for a lovely buffet or entryway accent. 4. 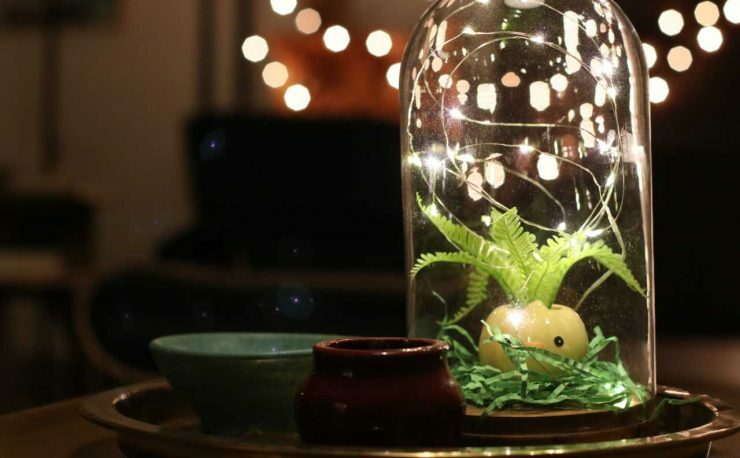 Fill a pastel glass container with fairy lights and pop them wherever you need a little sparkle. So quick and easy. 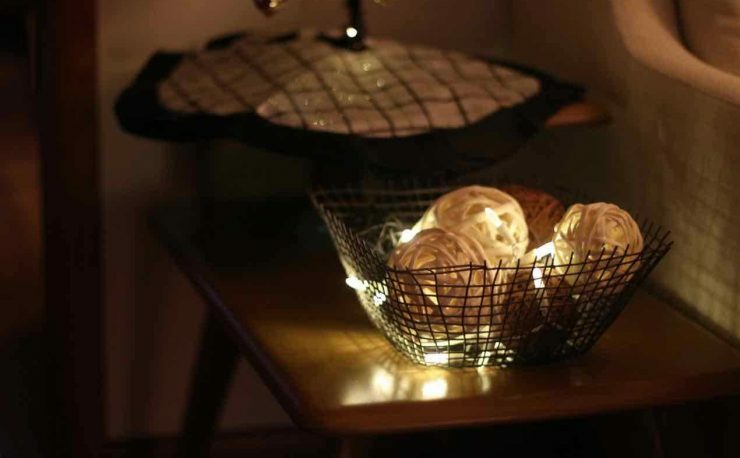 More than likely you have craft and battery lights in your decoration tote but if you don’t here are handy links for these lights to purchase online. 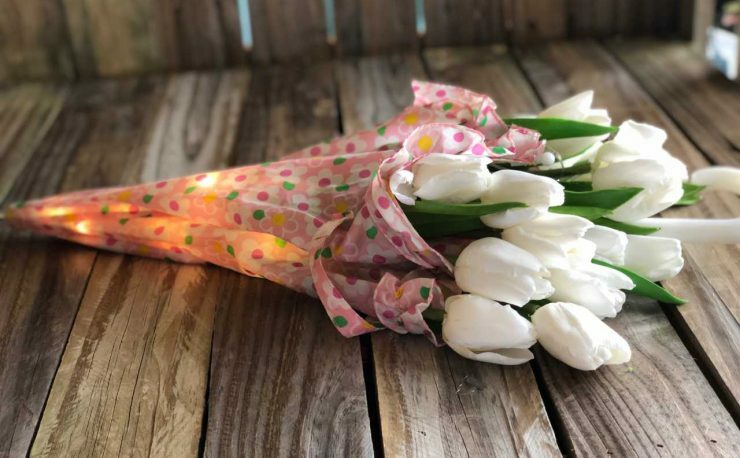 Share your ideas in the comments and have a lovely Spring!